Heading out on a trip soon? 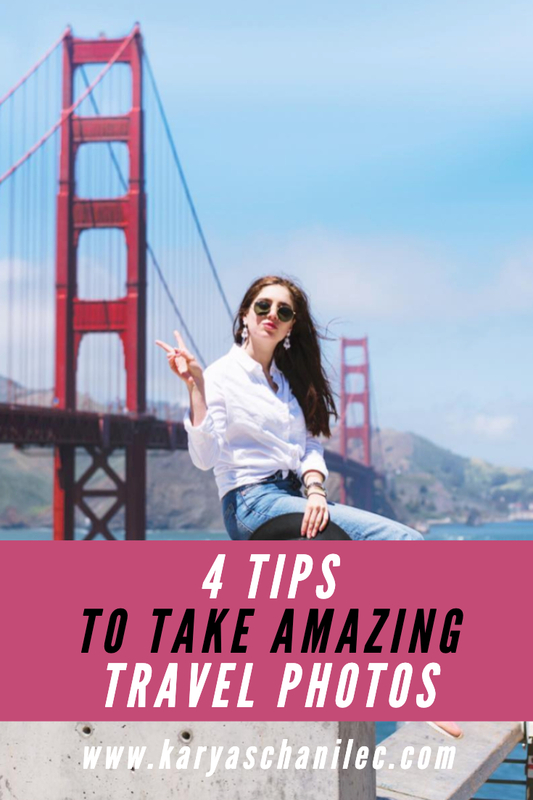 Make sure to bring your camera and check out these top tips and expert secrets for taking breathtaking and amazing travel photos! 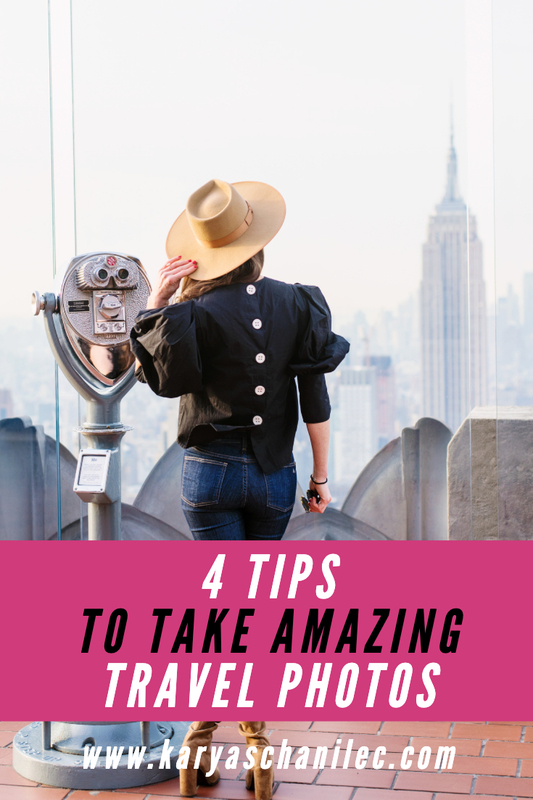 Take Amazing Travel Photos Tip #1 – Research! 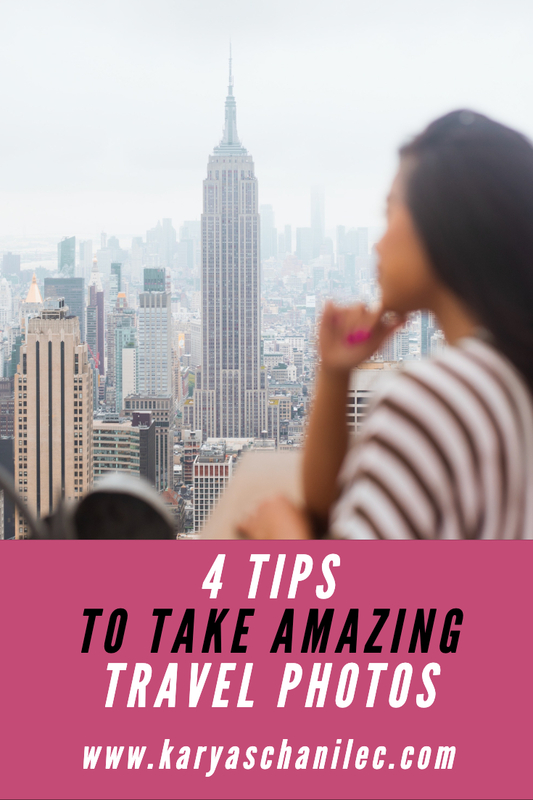 I can’t say this enough – do your research before you travel! Definitely seek out the iconic and picture-perfect sights, but I always recommend searching for off the beaten path spots. Whenever I travel to a new place (or even a place I’ve been to many times! ), I always scour Instagram and Pinterest for new spots to shoot. On Instagram, I search through local hashtags and influencers, and on Pinterest, I search for specific neighborhoods/areas and go from there. You never know what you will find! When looking for locations, I specifically look for bright colors and interesting architecture that will catch the eye. Avoid waiting for strangers to get out of your shot and go early. For public places, go a half hour after sunrise for the best light, and for places that have an opening time, be the first in line to get in. You will (hopefully) have full control of the spot and more time to work your magic. If you’re going to a private location, book your entry ticket in advance (and also make sure to check their photography policy). If you can’t avoid the crowds during your shoot, opt to remove them and other distracting elements post production. This will give your shots that magical, wanderlust feel we all love. Fight the urge to stand right next to, under, or in front of the monument, sign etc. you want in the shot. 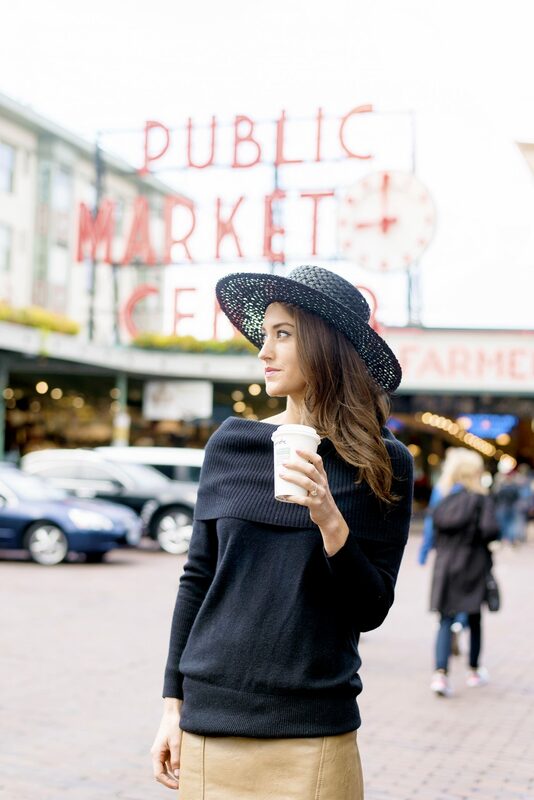 If you’re shooting with a subject, have them stand a couple yards away and make sure it’s framing their body. For really large monuments and sites, opt to shoot from a look out area, like Kerry Park in Seattle for a picture-perfect view of the Space Needle. Go against the grain and take the picture no one else is taking! Experiment with angles by getting on the ground or trekking up high! Seek out the vantage point less traveled and you could wind up with fantastically unique shots. What do you love about travel photography? Where in the world would you want to shoot? Let me know in the comments!